When all five targets get triggered, the "Extra Ball When Lit" feature does light up. So even that appear like its working. It also does score points the initial time the targets are knocked down. But then at the start of a new ball, or when you switch players, it never resets the drop targets. 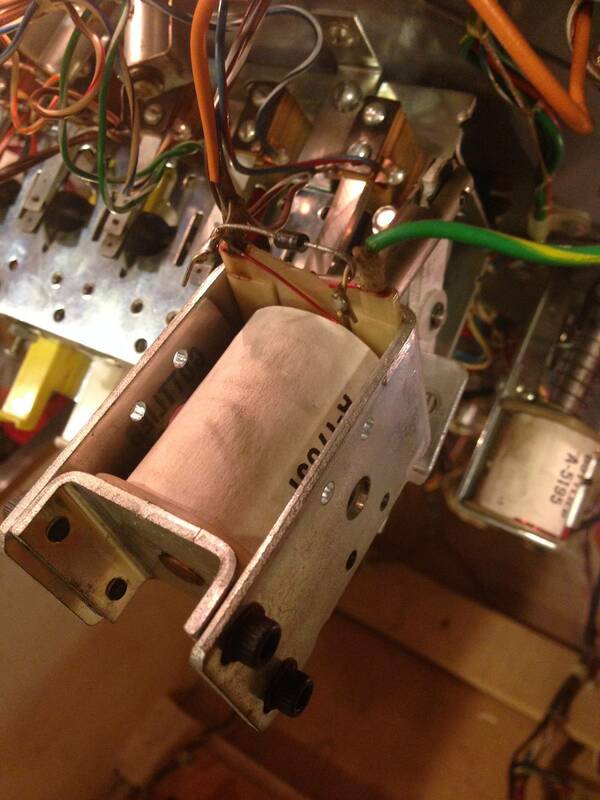 Here are some pictures of my reset coil attached to the drop target assembly. Everything looks ok to me, but I don't necessarily know what to look for per se. I can manually push in the reset bar attached to the coil with my finger and it does reset all the drop targets. So, again, as far as I can tell everything is assembled correctly, everything is scoring correctly and lights up the appropriate special gameplay lights. The only thing not working is that the reset coil never fires and resets the drop targets. Can anyone give me any tips or tell me where to start looking to fix this? Any help would be appreicated! Let me know if you need any more info in order to help me! Thanks! 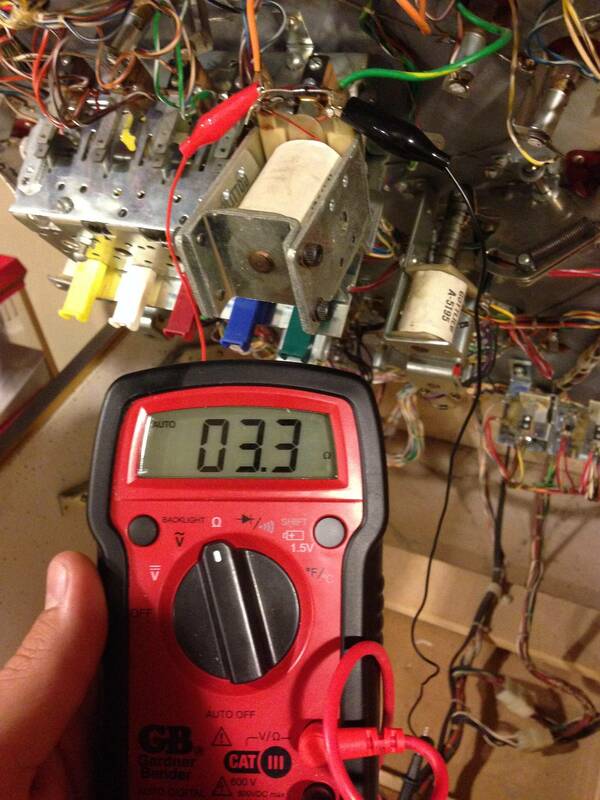 Check the reset coil with a meter to check the resistance. The coil could be open or shorted. 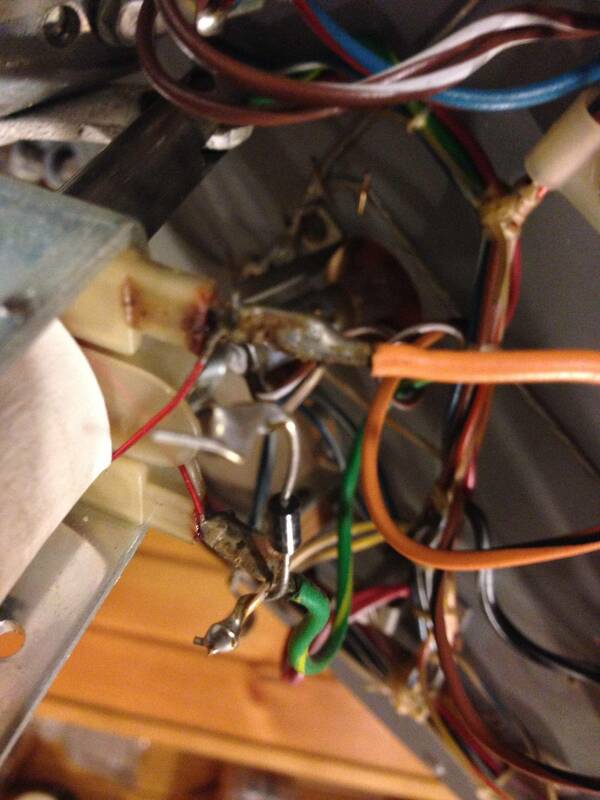 Double check your wiring to the coil lugs. Power to the coil should be attached to the coil lug associated with the striped end of the diode. Which, anyway, I am able to do and it feels normal, so far as I can tell, and it does reset the targets. 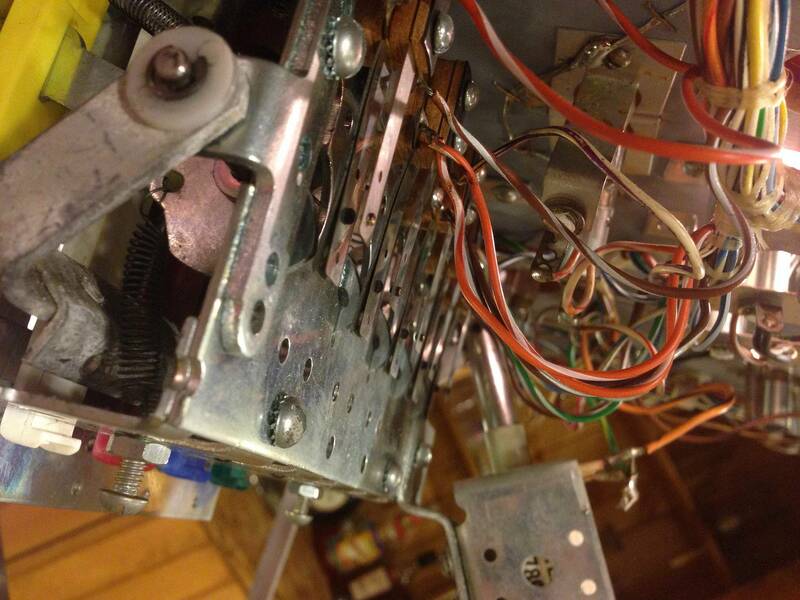 Which from what I saw on pinrepair's system 1 guide, that looked right for a coil, but let me know if I'm wrong on that. Do those look ok to you guys as far as you can tell? They look OK to me, in so far as I don't see any obvious breaks or anything. If so, whats next? Do I need to cut open all my wire bundles to see if I can follow where the power wire goes to? In my case that appears to be an orangish wire? Or what should I be looking for or doing next? Those connections look rough. Get a new diode and clean up those connections one at a time. Plenty of slack in those wires to cut the ends off and make a new connection. Needless to say, observe the polarity of the diode. A 1N4004 diode from radioshack will work. But before you do that, order a manual with schematics from PB resource. You need to check continuity from the coil back to the driver board. The schematics will tell you where to check. Do you have a factory driver board, or is the Ni-Wumpf an all in one deal? Have you checked or replaced the edge connectors? 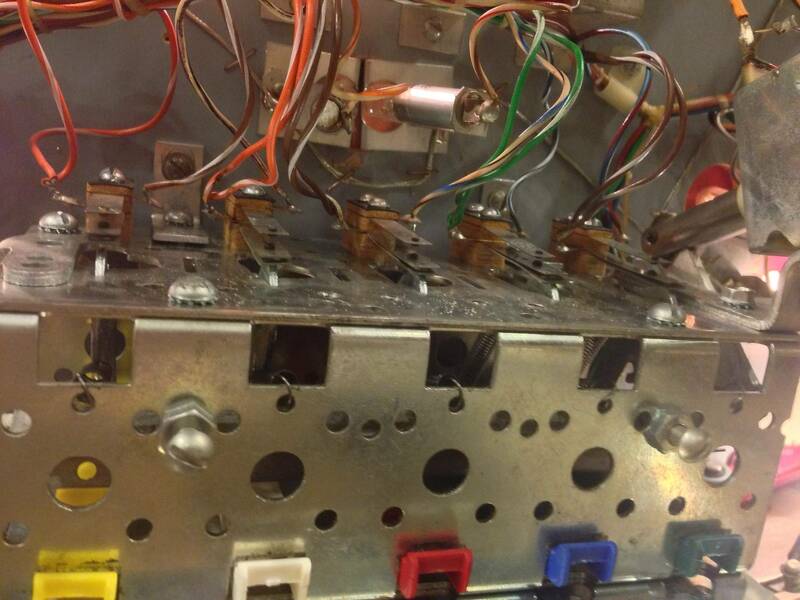 Did you check the 2 amp slo-blo fuse for the Target Bank Reset Coil? 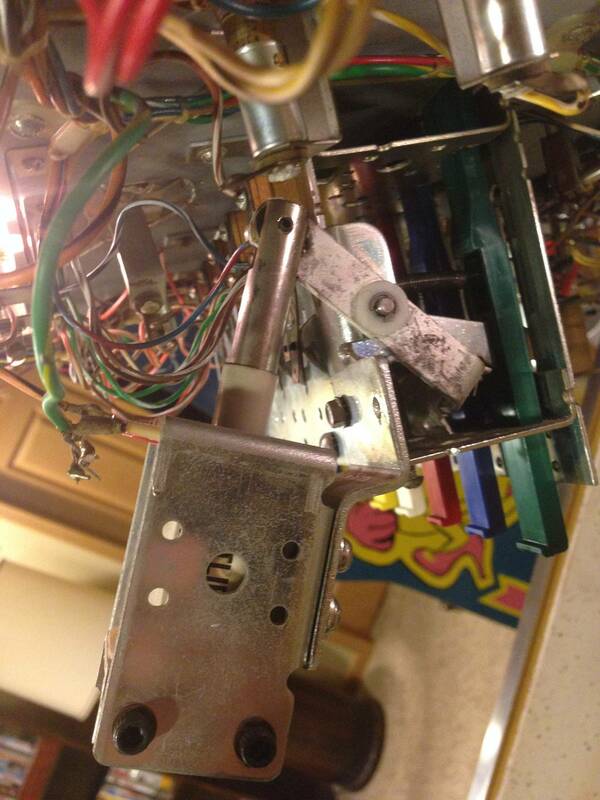 I think it's under the playfield. I have a manual already for the pin. Though I don't know how to read that type of diagram yet, so it's of little use to me at the moment. Thanks for the model number of the diode. Guess I will have to brush up on my soldering skills, which were a bit weak last time I gave it a shot. And to answer your questions, I did replace all three boards, and replaced the connectors. I am using the Ni-Wumpf replacement. 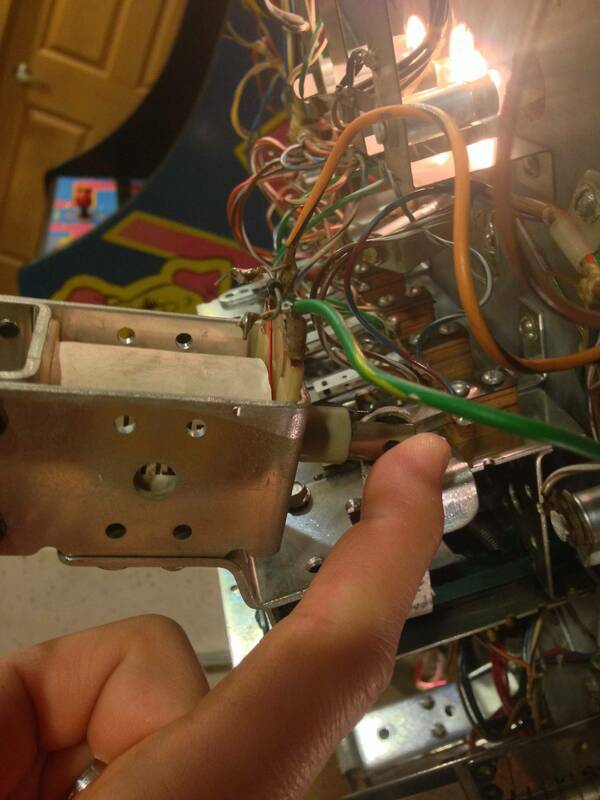 I did check the continuity of the fuse under the playfield and it passed. But I suppose I could replace it just to be safe. Though I thought that there'd be more problems than just this one if that fuse were out. But maybe not. Like I said, easy enough to do, just in case. I'll see if I can find some time tomorrow to give this all another look. Thanks for the suggestions so far! Do these measures with the power off. Disconnect connector A3J4. 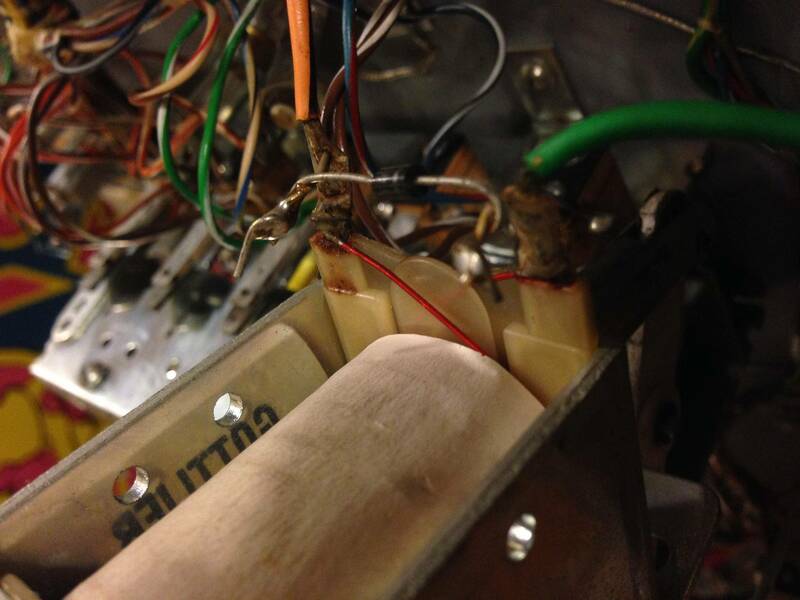 Check continuity from A3J4-2 to the orange/black wire on the target reset coil. Should get ~0 Ohms. Use the ohms scale set to the lowest range to measure this. Next measure from A6J5-9 (or from the 24VDC Bridge Rectifier + output) to the green/yellow wire on the target reset coil. Again ohms should be ~ 0 ohms.